You’re ready to get in shape. Woohoo! The only problem is you have 3 or 4 different commercial gyms within a few miles of your home or work. You have absolutely no idea where to start. They all seem the same! Our Gym Comparison Series continues with 24 Hour Fitness vs LA Fitness. Did you know that 24 Hour Fitness is actually the biggest commercial fitness chain in the world? Despite only having locations in 18 states in the U.S., and having fewer overall locations than some of its competitors, 24 Hour Fitness boasts more active members than any other fitness brand. There are over 400 24 Hour Fitness clubs in the United States. The brand’s claim to fame is, you guessed it, 24 hour access! LA Fitness is one of the biggest health clubs in the U.S., with over 800 locations (including Canada). It’s known for its big and spacious gyms, along with its host of extra amenities like pools, spas, and plenty of diverse workout classes. 24 Hour Fitness cost: There are a lot of different membership options and costs available from 24 Hour Fitness, depending on which membership level you want and how much access you need. For a standard membership that gives you access to most clubs and amenities, you can pay around $600 up front for the year (breaks down to around $50 per month in total including initiation and annual fees). Pricing at 24 Hour is actually pretty complicated, with multiple levels of access and pricing tiers. You can pay less than $50 per month overall if you’re willing to forego higher access levels and commit for longer. You can pay a little more if you want better membership perks or more flexibility in your contract. Check with your local gym to get more specific details. LA Fitness cost: Prices can vary based on location and your ability to negotiate, but expect to pay roughly $100 in initiation fees and then around $30-35 per month after that. 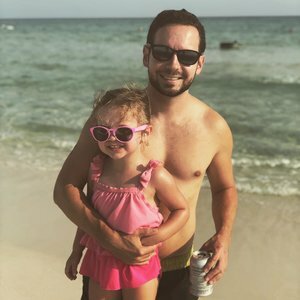 You can get a small discount ($25 per month) if you’re willing to have a “single club membership” and forego access to other LA Fitness locations in your area and around the country. 24 Hour Fitness hours: I bet you can’t guess when this place opens and closes! LA Fitness hours: Different LA Fitness locations around the country operate a little differently, but as a general rule, LA Fitness tends to be open from around 5am until 11pm most nights. Again, check your local location for specific hours and exceptions. We’re starting to get a picture of how these two compare now. 24 Hour Fitness appears to be a little more expensive, but the flexible hours may be extremely valuable to some of you. However, there’s much more to explore. 24 Hour Fitness: These are big, well-stocked gyms with an absolute ton of cardio equipment and plenty of strength training machines. They also have free weight sections that may be slightly more limited. Users online report that 24 Hour Fitness usually only has 1 or 2 power racks, for example. LA Fitness: LA Fitness is huge and has everything. Every piece of cardio and strength equipment you could possibly want, and plenty to go around. You’ll definitely find what you’re looking for here. 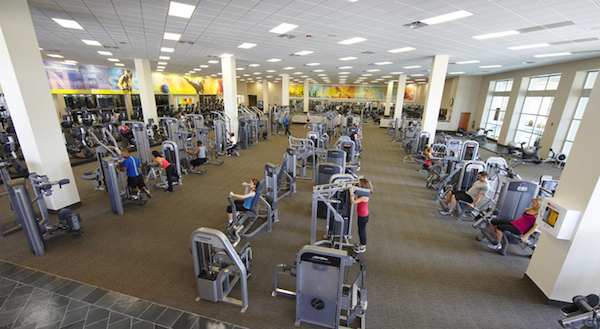 24 Hour Fitness: Most clubs offer a nice variety of classes, including aqua fitness, cycle, yoga, pilates, and Zumba. The average club looks to have somewhere between 4-6 different classes per day, and they’re included with most club memberships. LA Fitness: Tons of classes here. There’s cycle, boot camp, cardio, and yoga, along with some unique alternatives including belly dancing, kickboxing, tai chi, and more. 24 Hour Fitness: Most 24 Hour Fitness locations have pools that are primarily designed for lap swimming and aquatic fitness classes. Online users note the pools are often small and kept relatively warm for the fitness classes, which makes them less than ideal for regular swim. Most clubs also have a spa, sauna, and steam room area as well. LA Fitness: Most LA Fitness clubs have a full pool, spa, and sauna area. These pools are often typically on the small side (3 lanes or so) and are primarily for laps unless reserved for a fitness class. Locker rooms at both 24 Hour Fitness and LA Fitness include private shower stalls, so no bringing home all of that sweat and/or chlorine! Both clubs are also ideal for morning workouts before work, where you can clean off and get ready for the day. 24 Hour Fitness: Most locations offer a Kids Club child care options, with CPR-certified supervisors manning the station at all times. You can pay a small extra fee per visit or add the option on to your membership. LA Fitness: Child care at LA Fitness, also called Kids Club (so original! ), will also run you a small extra fee and offers supervised play for up to 2 hours while you work out. 24 Hour Fitness vs LA Fitness is certainly a close call. The two are really pretty similar and follow the same model: Lots of space, plenty of equipment, minimalist pools, and most of the standard amenities you could ask for. LA Fitness has a better suite of classes, but 24 Hour Fitness has the more flexible hours.